I love my co-workers! It's a big enough group that we don't all see eachother every day (and we also work in different locations) but it's small enough that we love to be intentional and have meaningful relationships with each other. 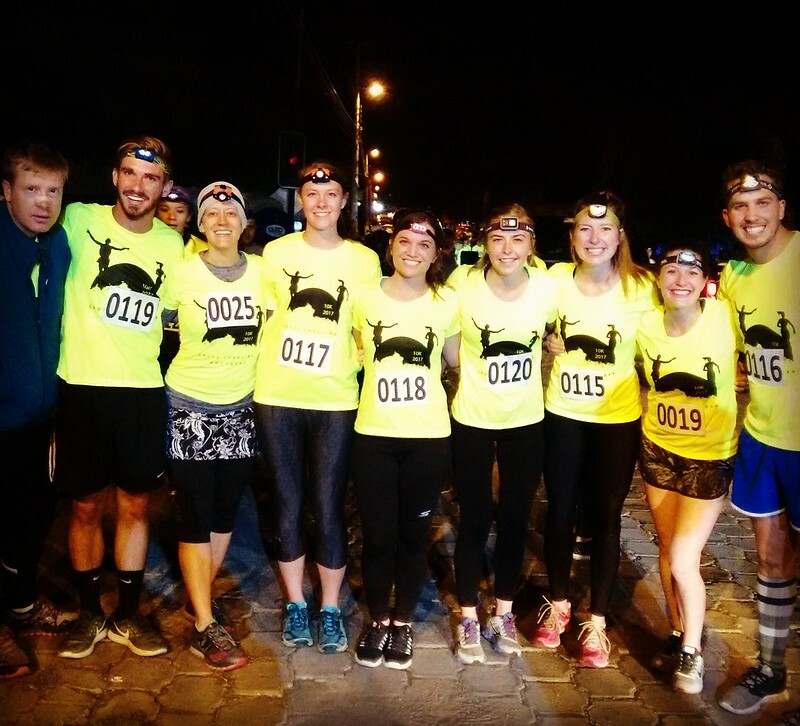 At the beginning of this semester we proposed doing a 10k night trail race, headlamp necessary as a staff. Impressively, out of the 11 of us, 8 did the race. We all ran at our own paces and trained in different ways but it was super fun to stand at the finish line and cheer the next and the next person in. I'd hoped to come in under 55 minutes but unfortunately I took a full fall about 2km into the race and felt my hip bothering me enough that I had to slow down so I finished at 58 minutes. Afterward a few people peeled off for bed while the rest of us hit McDonalds for french fries and sundaes because what else should you do at midnight after you've just run 10k?